A research team from National Aeronautics and Space Administration (NASA) and Istanbul University detected amino acids — important organic compounds that form the human body — in a meteorite that hit the western Turkey 52 years ago. The meteorite weighing four kilograms landed in western Çanakkale province's Bayramiç district in 1964. 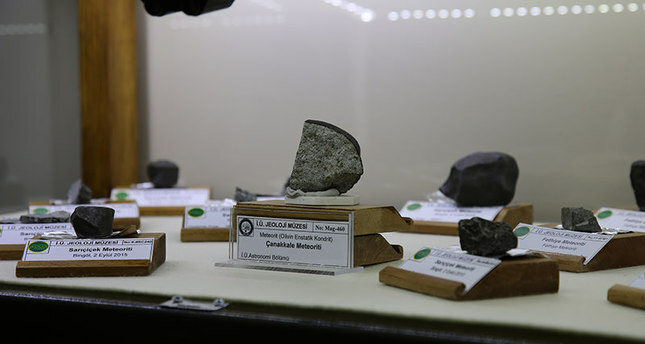 Following initial research on its mineral structure, the meteorite was sent to NASA in 2012 for further examination. Following a four-year research, scientists found that the meteorite contained 19 different types of amino acids, including glycine, alanine, valine, serine, glutamic acid and aspartic acid. Such a finding is considered important as it is the first time that amino acids have ever been detected in a meteorite that fell in Turkey. Speaking to the state-run Anadolu Agency (AA), Yavuz Örnek, an associate professor at Istanbul University's Institute of Marine Sciences and Management, reportedly said that approximately 500 meteorites land on earth each year, but only around 10 percent of these could be retrieved while the rest fall in lakes, oceans, deserts and polar regions.